Join a dynamic club that connects a diverse range of professional women. Be part of a global network promoting equal opportunity, participation and representation of women in the workplace and marketplace. BPW Melbourne believes that equality means business. That’s why we engage with business and government on the evidence that there is a return on investment when women become top executives and leaders in public life. The global Women’s Empowerment Principles (WEPs), which promote the advancement of women in public life, are the compass that guides our activities and advocacy. Our objective is to encourage local businesses to sign up to the WEPs. BPW Melbourne is the only women’s club representing women in both business and professional careers. Our members represent women in all walks of business life, at all stages of their careers. Our members are small business owners and public servants. Some are at the beginning of their careers, and others are chief executives, directors and corporate managers. Our professionals include lawyers and journalists, and represent education, government, and community organisations. Younger members especially benefit from the skills development that supporting our activities can offer. Join us on the first Tuesday of the month in a creative and modern setting conducive to an exchange of bold ideas and entrepreneurial wisdom. Please join us at the Duke of Wellington for our April meeting and dinner. As part of the BPW Victoria Policy Working Group, BPW Melbourne members Stephanie Ziersch and Michelle Wareham have completed a draft paper on Building Women's Leadership at all Career Stages. The paper is designed to provide a statement on the topic and identify relevant resources, legislation and communication tools to assist BPW clubs across Victoria to consider and contribute to discussion and debate on this issue. 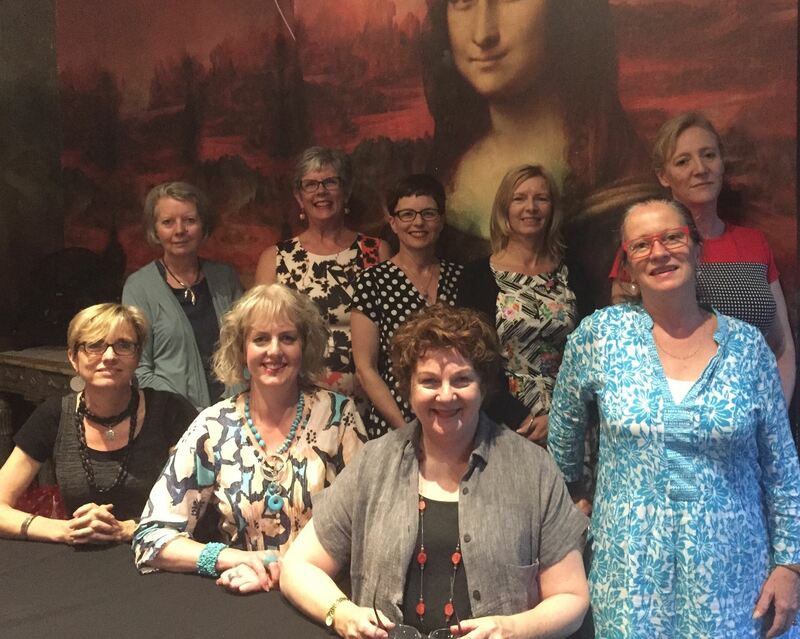 Over dinner, BPW Melbourne members will have the opportunity to discuss the paper, provide feedback and hear more about how BPW Victorian clubs are working together to raise the profile of BPW in relation to key women's issues. A management meeting will be held at 6pm, with dinner from 6.45pm. Drinks and meals at bar prices - you can pay on the night. An informal talk over dinner by Youna Kim, General Manager of Innovation and Development,EDVOS. Our acknowledgement of the International Day for the Elimination of Violence Against Women. Rashmi Venkatraman recently returned from an expedition with over 75 other women of STEMM, from all over the world, to Antarctica. This was the culmination of a year-long leadership study program. In June, Rashmi came to tell us of her experiences during this 'Homeward Bound' program, and to explain how the expedition had had an impact on her and her colleagues, two of whom came to support her on the night ! "My 'take home" was how important it is to keep being environmentally conscious - even if it sometimes feels like your efforts are insignificant, we have to realise that every little bit counts." 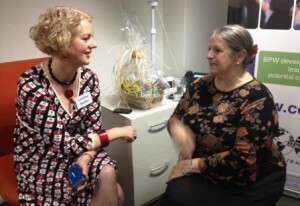 We hosted an evening with Personal Development Coach, Leadership Coach and Mentor, Helen Sloan. Helen discussed better ways to understand your colleagues and better communicate in the workplace. This was followed by dinner and networking with a fascinating group of women ! Gender Equality for Women in the Arts Industry. BPW Melbourne policy focus is the theme of "women in the pipeline." We think there is important work to be done in empowering and developing women professionals at the early to mid-stages of their careers. BPW Melbourne recognised the International Day of the Elimination of Violence against Women (IDEVW) with a dinner and special guest speaker Elizabeth Trewhella, National Operations Manager for Fitted for Work. Fitted for Work helps women experiencing adversity break through barriers to get and keep work (https://fittedforwork.org/). Women in Politics: Why does it matter ? BPW Melbourne presented a special panel discussion on the importance of greater representation of women in politics, and how to address the challenges in achieving this. Our speakers were (L-R) Federal Labor Member for Hotham, Clare O'Neil MP; Mayor, City of Monash, Rebecca Paterson; Deputy Leader of the Victorian Nationals, Steph Ryan MP; Academic Director, University of Melbourne Pathway to politics Program for Women, Dr Andrea Carson. Making the Invisible Visible: Recognising the impact and effects of non-physical violence on women's work choices. (L-R) MC and Club Secretary Michelle Wareham, Jaqueline Graham, Gaynor Witt, President Caroline Bayliss, and Koraly Dimitriadis. 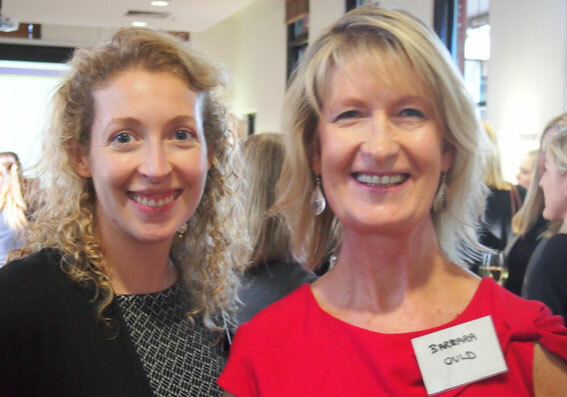 Great news from the BPWA National Conference that was held mid-October in Geelong, which was hosted by our friends and colleagues at BPW Geelong and BPW South-West Victoria ! 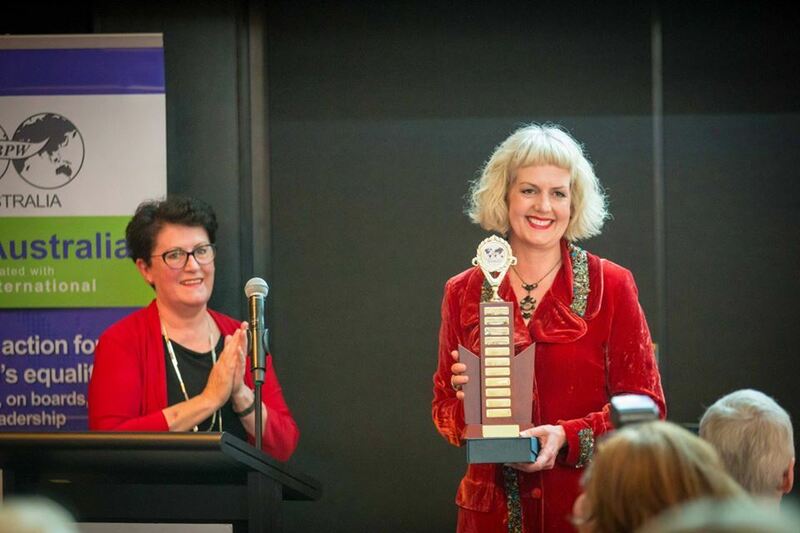 Our Club President, Caroline Bayliss, was awarded the National Pat Harrison Award for Outstanding Leadership of a Club President . 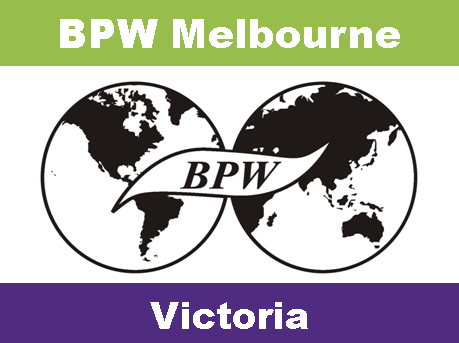 BPW Melbourne's Jacqueline Graham was elected as Director of Marketing of BPW Australia, as well as Vice President of BPW Australia, which means that she will assume Presidential responsibilities in the event that the President vacates her office for any reason . Our Club's Freda Miriklis was awarded a Life Membership of BPW Australia, a fitting recognition of Freda's many years of service to the organisation at local, national and international level, not least as Immediate Past BPW International President. Judith van Unen acquitted herself admirably as the Chief Parliamentarian for the Conference Proceedings, that is, managing the complexities of voting at Conference. Congratulations from us all, Caroline, to you and to all these inspiring women ! We held a stimulating event, 'Women in Science', to mark Equal Pay Day. Last year, we focussed on pay disparity in the legal profession, and this year we concentrated on inequality in STEM. "It was confronting to hear of the impact that 'taking a break' can have on careers in science. L-R Assoc. Prof. Bill Petreski, Dr Marguerite Evans-Galea, Karen Delvin (BPW), Dr Jesse E Olsen, Dr Leonie Walsh. ests: Janis Shaw, President BPWA, and Patricia Francis, Secretariat Representative of the UN Secretary-General’s High-Level Panel on Women’s Economic Empowerment. Both had come to Melbourne to attend the UN Women’s Economic Empowerment consultation, hosted by Tennis Australia. Despite their heavy schedule, they had been inveigled by Melbourne member Freda Miriklis into joining us, and giving their valuable insights into that important meeting. My name is Caroline Bayliss, and as President of BPW Melbourne, I would like to welcome you to our Club. Our members are small business owners, chief executives, directors, corporate managers, lawyers, journalists and other professionals. We have members in education, government and community organizations. The global Women’s Empowerment Principles (WEPs) which promote the advancement of women in public life, are the compass that guides our activities and advocacy.Our objective is to encourage local businesses to sign up to the WEPs, because we believe that equality makes good business sense. I look forward to seeing you in the very near future at one of our events. Back row (L-R) Denise Patience (Treasurer), Bronwyn Williams, Michelle Wareham, Tracie Andrews, Jacqueline Graham (Director of Marketing and Vice President, BPW Australia). Front row (L-R) Stephanie Ziersch (Policy),Caroline Bayliss (Club President), Karen Delvin (Membership), Annie McCaig. 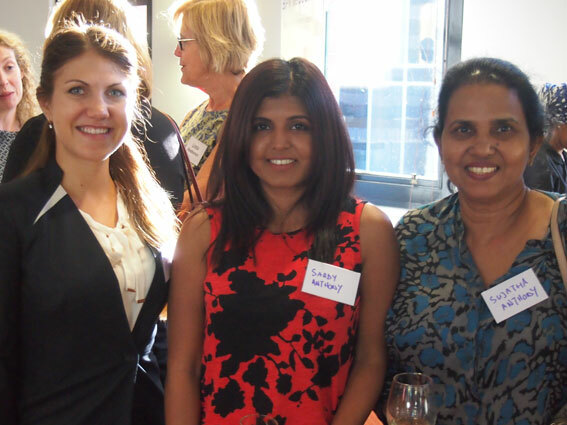 In celebration of International Women’s Day 2015, in March, BPW Melbourne convened an event reflecting the IWD 2015 theme, “Make It Happen”, encouragingeffective action for advancing and recognising women. our event featured prominent women from diverse cultural backgrounds, each of whom has pursued her dream with passion and determination – and definitely “made it happen”. Award-winning author Hanifa Deen, and Melbourne lawyer turned Bollywood actress Pallavi Sharda, provided great insight and inspiration to the audience of around 80 people about their own “light bulb moment” that changed the course of their working and private lives – and the importance of acting on that moment, in order to realise their own dream of professional success and personal fulfilment. performance poet Ebony MonCrief captivated and engaged our audience with a piece that portrayed the inspiration derived by a woman on her own physical and metaphysical journey to self-discovery and fulfilment. VCA graduate Natalie Sun kindly provided a number of her unconventional, yet compelling, artworks for sale. 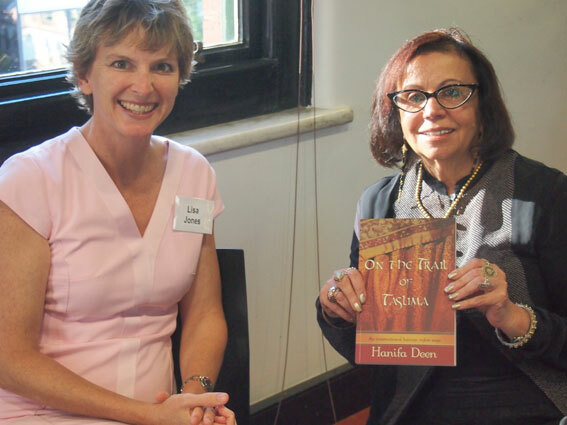 BPW Melbourne would like to thank our event partner, the Queen Victoria Women’s Centre, for hosting our event at the iconic Queen Victorian Women’s Centre in Melbourne’s CBD and advertising “Women Making Dreams Happen” as part of the QVWC’s high profile International Women’s Day program. 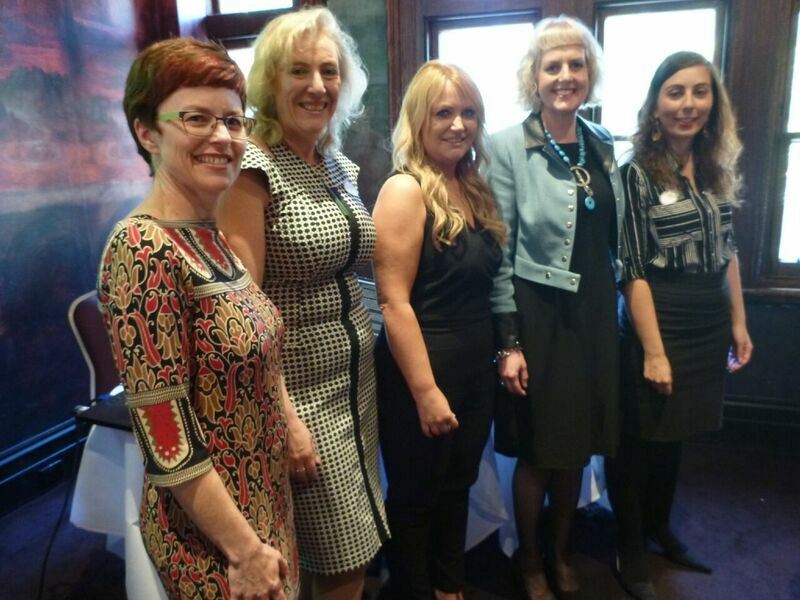 In support of White Ribbon Day, BPW Melbourne held a breakfast event on 18th November 2014 titled Empowering Women – Breaking the Cycle. For this event, we partnered with The Big Issue which provides employment and hope to hundreds of homeless, marginalised and disadvantaged people each year. Karen Delvin, Vice President BPW Melbourne, who spoke about the work of BPW internationally in promoting and driving the uptake of the Women’s Empowerment Principles (WEPs) . Cheryl, an employee of the WSE, who provided a hands-on perspective of the issues of homelessness, the challenges of being a woman in those circumstances and how she has been able to apply the WSE programs to break the cycle. The passion, openness and insights of all thee speakers contributed to a unique and thought-provoking morning, appreciated by all who attended.